Kevin Costner as an Oscar-winning postman in Field Of Dreams. Last week I opened a correspondence with DPD regarding their comically poor delivery service, and in-between all of the mania, frustration and subsequent blood on the keyboard, a resolution of sorts was agreed whereby they offered a gesture of a box of compensatory chocolates by way of an apology for their wilful insubordination. Unfortunately these chocs never materialised and I was consequently forced to open up another line of communication with these bad prats to ask why the delivery to compensate for my initial failed delivery was now another failed delivery in itself. I quite enjoy emailing people when I feel something of an injustice has occurred as the distraction of annoying other human beings helps cushion the shock and subsequent depression of waking up every day and realising that Skynet is not even close to being a thing, apes are not even close to a revolution, and my brain is not even close to being fully developed. With this one, however, even I got sick of how much it dragged on. So much so that when it was finally over I took the rest of the day off work. Sometimes I wish people would just tell me to piss off and stop bothering them. As per the previous correspondence attached to this email that’s stretched itself out over the course of 7 days, please find attached in vibe form my total and utter despondence at the web of lies and broken promises with which DPD now aligns itself. Despite all of my eagerness and hope that there’d be a resolution to this ongoing crisis – and rest assured…. this… is a crisis – it turns out that all hope and eagerness was merely a fart in the wind that dissipated quickly and prematurely, and didn’t linger about waiting to surprise people with its presence. Corresponding with DPD is very much like this: plenty of promise, plenty of excitement, and then nothing. Just air, and nary a hint of follow through. While you may have promised my mother a fine box of chocolates by way of recompense for your earlier mass failings at attempting to deliver a parcel to my home for which she took the day off work, it seems this too was damn dirty lie which, given the time of year, is completely understandable. The amount of times I encourage the kids in the playgroup at work to get excited about Santa arriving next week only to tell them he doesn’t exist and if he did he’d hate them is probably excessive. The fact of the matter is I like watching their faces drop after a fleeting sensation of glee. I can’t get enough of it, and given your general procedures and correspondence, I suspect this is the kind of thing DPD thrive on too. 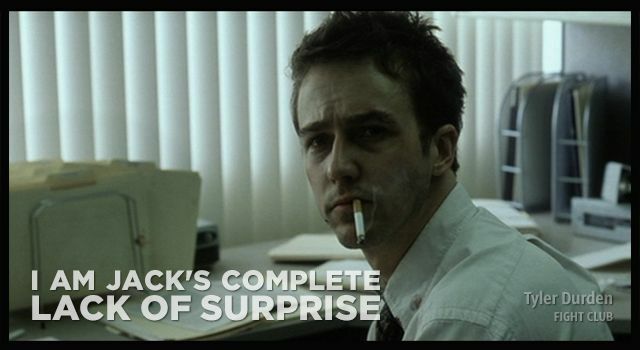 To be honest, I thought I’d be more dismayed about this whole secondary DPD situation until I reminded myself that this is DPD I’m dealing with so I am Jack’s complete lack of surprise. DPD – which stands for Delivery People Deliverers – should really think about changing their name because you’re not at all delivery people deliverers. You could change it to any number of original and relevant names such as ‘Doesn’t Post Deliveries’ or ‘Don’t Pick DPD’ or ‘David Pollock Dickhead’, though that last one isn’t massively relevant, it’s just that David Pollock was a human boy who used to bully me in primary school every day. He wasn’t very nice at all and when he got to middle school he was expelled for staple-gunning a classmate to the wall. He’s a postman now which I think has agreeable symmetry to our current predicament. Anyway, I hate to have to escalate this situation but unfortunately you leave me no choice but to write a complaint letter to your superiors regarding your lies, betrayal, emotional blackmail and hate. And I wouldn’t expect anything decent off Santa this year. He doesn’t exist and if he does he hates you. An email of complaint will be forwarded to the relevant department in due course. I’ve had a look into this. You are right, we haven’t delivered the service that you deserve. I am sorry about this. I’ve spoken to the depot and have asked them as of to why the delivery failed more than once. We can see that on an occasion the driver was on his way, but as you requested for a delivery to your neighbour it failed. You aren’t at fault here by the way. I am sorry to say we do not offer compensation. However if you speak to your sender they may be able to refund your delivery charge, as you paid this to get the best customer service and it wasn’t given to you. Many thanks for your friendly reply, and your inference that I am at fault here by the way. While I appreciate you speaking to the depot to ascertain why they aren’t capable of carrying an item from point A to point B, it’s been over a week since I was told that the reason they weren’t capable of this was because of the clear, precise instructions given to them with plenty of time in advance of delivery. This is understandable as carrying out instructions to the letter can be difficult for some people. Just this morning I was asked to email an important client about retrieving payment for several invoices he was in arrears with thus keeping our business above water and securing our short-term future. I was told it was vital I got this done but instead I got distracted by the new toy lightsaber I’d bought for my girlfriend’s little boy for Christmas, and began charging around my office attacking anything that wasn’t secured to my desk. Unfortunately, just as I was re-enacting the scene in Star Wars IV: A Brand New Hope when Hans Solo is arguing with Greedy The Bounty Hunter then gets angry and slices him in half with his lightsaber, I accidentally popped a light bulb while doing a jumping-backflip-dance-attack and the subsequent smoke set the fire alarms off. The entire building had to be evacuated and by the time I got back to my desk I’d completely forgotten about the important email I’d been tasked with. It’s probably okay though. From my experience if you don’t do a job properly all you have to do is lie about it then promise someone a box of chocolates as compensation then lie about that too. Thankfully I’ve made my peace with the DPD people being unable to carry out a job that they were literally created to do which leaves me with one of your social media advisors dangling a box of chocolates in front of my poor mother’s face then snatching it away from her as she awaited her one-hour delivery window text. As per the previous correspondence from your social media advisors, please can you confirm when these chocolates will be delivered? Please add a bouquet of flowers and a voucher for 12 free months of Netflix as an additional gesture for this second failure to follow through with a service that you promised. I look forward to your speedy reply before I call the police. Firstly I am sorry for telling you we don’t offer compensation. On the plus side, we’ve arranged for your mother to receive the flowers. You definitely deserve them as we’d let you down.With the box of chocolates I am chasing this for you. However, I must take your offer of flowers and chocolates with a pinch of salt as I was told I’d be receiving the chocolates on Monday as well as a one hour delivery window text and this never happened. My mother was going to be receiving the chocolates which left me with the one hour delivery window text which I was really looking forward to getting as I rarely receive texts these days ever since I was viciously ‘outed’ on social media. I won’t go into detail with that but suffice to say it involved a change of identity. Nevertheless, despite the friendship and trust I feel we have now established between us, I just can’t shake the feeling that you will disappoint me. Perhaps you could text me a test delivery text to confirm your commitment to our working relationship, and to get these flowers and chocolates and Netflix vouchers sent out before Christmas. I completely understand your hesitance to rely on us. Please leave this with us, we won’t let it go. Again, sorry for all the mishap that happened. I am glad that you understand that my understanding of your understanding of my dissatisfaction of DPD’s service is, at the least, hesitant, and at the most, borderline manic. If this isn’t fully understood then I understand the next step will be a complaint letter notwithstanding. I expect I can count on your understanding. I hope this is as clear to you as it is to me. I have set my alarm on my phone to wake me up in the morning at 4am so I hope to have a resolution sitting in my email inbox waiting for me at dawn. I look forward to meeting you, Nathaniel. I’ve spoken to the depot, and the manager I asked for is in a meeting. I briefly explained to a member of staff (as he’d asked) what the query was about. He will help look into this, and I’ve told them to add notes so I can often update you. I’m not going to lie I’m not 100% today. I barely slept a wink thinking about the depot staff at DPD laughing at my plight, eating the chocolates that were meant for my mother, and not sending the one hour delivery window text that had my name, telephone number and personal details on it. However, I completely understand that the manager you asked for is in a meeting. Whenever I can’t be bothered to speak to anyone I have one of my subordinates tell whoever I’m avoiding that I’m doing something exotic and exciting such as lion taming or logging in and out of Facebook with my chin resting on my hand. Just this morning prior to consuming the eleven espressos I have at once in order to be able to function as a human being, I accidentally told a customer that I didn’t work here anymore and to come back in the past should he wish to see me. This was despite me telling him this directly to his face. As abstract conversations go, it’s up there. Thankfully I’ve had my caffeine fix now and despite severe chest pains I’m feeling a lot better so thank you for asking. I’m glad you have another member of staff helping you with this troublesome situation. That means there’s three of us all trying to pull in the right direction to get these flowers, chocolates and 12 months of free Netflix vouchers delivered before Christmas. My favourite proverb is ‘Too Many Cooks Make Broth Taste Nice’ so I think this an apt phrase for our situation. Please keep me updated with delivery of the chocolates, flowers and 12 months of free Netflix vouchers. It still seems bizarre that you offered me these yet didn’t send them. I can only put that down to your horrid working conditions and your general hatred of life so I’m willing to overlook that if you get them shipped at some point today with a confirmation email, letter of apology and a hug. Thank you for your honesty; I’m really sorry you’ve lost sleep over this situation. We’re doing our best to get this sorted for you. I must say 11 espressos is a rather large dose of caffeine but I agree that life without espressos would be rough. I hope the chest pains diminish as the day goes on. We’ll be sure to keep you updated. The depot manager has updated our notes and advised that the courtesy gift will be on its way to you ASAP. I’m sorry we won’t be able to give you a physical hug but please accept this cyber hug instead. *Cyber hug*. Much like your cyber hug, I suspect your courtesy gift does not exist. I’ve been promised so many promises and so many promises have been broken. I honestly don’t know where to put myself. If it wasn’t for my alcoholism I don’t where I’d be. Thankfully I have a bottle of Gordon’s Gin in my desk drawer here at work and I am sipping from it. Admittedly it’s not Tanqueray or Stovell’s Wildcrafted Gin but this is work and who wants to drink the best while stuck at your desk. Not me. Not on your nelly. I will, however, be celebrating with them should the fabled courtesy gift arrive. Just for peace of mind please can you confirm the delivery address I gave you, what the gifts will be and when they will be delivered? If not I will give you a piece of my mind. I’ve already opened communication with your complaints department and, while disagreeing over which is the best brand of gin, they are shocked at my ill-treatment, and rightly so, Joe. We will also be sending flowers to the same address, although this is being sent from our head office. Again, I’d like to apologise for the trouble this has caused and hope you have a great day. I await with bated breath the courtesy gifts you so confidently assert will arrive. I do hope they’ll be delivered sooner rather than later or later rather than never as if I hold my breath for too long you’ll have a death on your hands which is something none of us wants. Except everyone on your social media response team. “Life is what happens when you’re busy arranging schedules with your friends and it sneaks up on you” – Kurt Cobain, 1998. I look forward to the make-believe gifts in the post. There was free drugs stashed in the umbrella. Just saying. I wasn’t going to post this particular correspondence because of the multiple people I was forced to correspond with, all with varying personalities, flamboyant grammar and sentence structure, and middling to okay sense of humours. But I’ve decided to post because of the time of year and the heart-warming resolution at the end of it. It consistently baffles and amazes me how every little thing in general society fails to work properly. From buses and trains that repeatedly fail to arrive on time to my brain disengaging correspondence with my body when driving causing me to veer wildly across whole lanes of traffic and giving my instructor cause to wear nappies each time he gets in a car with me, there isn’t a thing on earth that doesn’t make my piss boil. ‘Yeah, he should have started as a striker as he’s wasted on the wing,’ I’d state. ‘What?’ My mam, a flight of stairs and two rooms away, would deduce that we were talking to her. ‘What are yous saying? Did you shout of me?’ We’d ignore her and carry on our discussion. ‘I need Newcastle to win on my accumulator but I’ll say a 7-0 home defeat. You?’ I’d continue. Every conversation that occurs at my folks’ house involves a sub-conversation to remind her we’re not addressing her directly. And despite me being an idiot, she usually drops whatever she’s doing to attend to whatever I ask of her. Once, when in the Highlands of Scotland, I told her I’d contracted some form of poisoning from wild swimming in a river and she basically offered to come up and get me and take me home until I reminded her I was 33 and not 3. Bless her. She must really care for me though that may well change when she discovers that I’m going to pack her off to a nursing home when she’s outlived her usefulness. I’m writing further to my earlier voicemail and in response to your tweet. I’m so sorry to learn that you have experienced difficulties with your delivery.After I left my message I called the driver straight back and was able to stay on the line whilst he delivered the parcel to your house and Mrs Peet signed for it. With regards to your request to deliver to your neighbour, there is no reason that this couldn’t have happened with the way that your delivery was arranged by the sender, but the driver did mention that he had previously attempted to deliver to one of your neighbours who had refused to accept delivery. We strive to deliver all parcels swiftly and promptly and upon this occasion we have not met expectations, for which I apologise. As your parcel has now been safely received I trust that all is now in order, however if you have any further concerns please do let us know. Many thanks for your voicemail offering a potential solution to a problem that was resolved myself via 40 text messages, 14 phone calls and several threats towards random members of the public and my mother due to my frustration at DPD’s poor delivery service. Having recently purchased an item that was comparable in price to that Ark of the Covenant thing the Nazi’s loved in the Harrison Fjord film ‘Raider Of The Lost Ark: The Adventures of Indiana Jones’, I was keen to have this delivered at the earliest convenience and not have to endure the unabashedly stupid comic-book adventure thrill ride in which Harrison Fjord’s character had to partake in order to get a hold of his own undeliverable item. Given my recent experience, unfortunately that’s turned out to be the case despite me not owning a fedora and bullwhip. Judging by the title of the film, I can only presume that Indy had attempted to have the Ark of the Covenant also delivered by DPD given how it ultimately ended up in the hands of the Nazis and everyone’s faces melted when it arrived 2 months late, not at Indy Jones’s house, but on a weird rock thing in the middle of the sea where it emitted a powerful light that killed dozens of people. It was a great movie though. My favourite bit was when Indy finally got the Ark delivered and you could see the relief in his face that he hadn’t threatened his mother with violence if she didn’t take the day off work to go to his house to sign for it. Furthermore, it did distress me a lot to learn that my five requests to have my parcel delivered to one of my neighbours went unheeded. Except that one time you mentioned where my neighbour apparently refused to accept delivery of it. This is understandable as if it’s the neighbour I’m thinking of he still hasn’t forgiven me for the time he saw me in the street, stopped to make small talk and I pretended to be speaking to someone on my phone which then rang loudly at the mid-point of passing him. He still goes on about that sometimes. But I digress. I really would have appreciated an acknowledgement that you at least attempted delivery to a neighbour. All I got was several photographs of the front, side and rear of my flat which, while it brought to my attention a potential guttering problem, it did seem to imply that your couriers have something of a voyeuristic component attached to their personalities. And while your service offered multiple choices for redelivery should I not be home, my repeated attempts to option one of these was met with a radio silence the likes of which will not be seen until the nuclear apocalypse that’s due to occur whenever the next Terminator film says it will. Is there any form of recompense for not meeting my delivery expectations? Ideally I’d like leather trousers but a cash prize would also be acceptable. I expect to hear from you in due course. Thanks for getting back to us.I do have to commend you on the film references to a DPD delivery I’ve honestly never thought of one of our deliveries in this way. Although come to think of it we do track our drivers like Enemy of the state :O Staring my favourite actor Will Smith. I’m sorry your parcel wasn’t delivered to you since the 3rd as it should have been and our driver have struggled to deliver to you or one of your neighbours. I know our drivers are franchise driver that attempted at your address. This does mean that they are only paid per successful delivery attempt as an incentive to do their best to get parcels delivered (none of Indiana’s treasure for Steve). I can now see this was delivered to you yesterday as you’ve said. I’m really sorry that you have been through such an ordeal. I wouldn’t be able to get you a cash prize but I did enjoy reading your email as it was slightly different to those that we’re used to if you have a delivery in future please mail in and we’ll do everything we can to stop this happening in future although some steps have already been taken. I really hope you do get those leather trousers but if there is any rock unturned or a question I’ve left unanswered please let me know. I too enjoy staring at my favourite actors in all the movies I like. Once, I stared at an image of Brad Pitt’s abs for so long that I developed a slight astigmatism in one of my eyes the side effects of which cause me to sweat and tremble profusely every time he appears on screen. I’ll admit that this has caused some concern from my girlfriend regarding my sexuality but even though I’m slightly curious, I can confirm that I’m probably not gay. Despite the existence of Brad, Andrea Pirlo and Lion-O from Thundercats. Regarding the protracted delivery of my parcel, it has caused something of an issue with my mother who had to take the afternoon off work because of DPD’s repeated refusal to change my delivery. I know I made something of a joke regarding a compensatory gesture for me but when it comes to my mam I’m deadly serious. She does a lot for me and if she refuses to help me in my time of need she’ll certainly know about it. She can’t half take a punch that one. She lost a lot of flexi-time finishing work early to wait in for the parcel so it would be much appreciated if you could refund this flexi-time via email at your earliest convenience. I know she would appreciate the gesture. If you could gift wrap it, even better. I expect this act of kindness will thoroughly make up for your repeated failure to deliver my present. Thanks for your reply, I must say I admire your great respect for Brad Pitts abs :)In regards to your mother waiting in I agree that she would probably have been quite peeved for it to fail and wouldn’t be too impressed when you got back. I would like to offer that we send out a box of chocolates to her as a good will gesture. Is this something you think would make her feel better? A box of chocolates sounds like a pleasant goodwill gesture. Will she get fries with that? She can take them or leave them to be honest but I was told to always ask. If you could send the chocolates (and/or fries) to the following address and have them delivered personally from Mr Kriss Kringle then I promise I won’t send you the other 86 emails addressed to DPD Customer Care I have sitting in my drafts folder*. Many thanks indeed. *this is dependent on the physical state of my now-delivered parcel. I’ve yet to get home to see it so you may well receive further correspondence from me should I be dissatisfied with the delivered package. I’m glad you said yes! Unfortunately we’re out of fries :'(On a brighter note, the chocolates are being arranged for you and I’ll drop you a quick email to let you know when they’ll get there. Many thanks for your friendly reply. Additional thanks for your goodwill gesture. It pleases me greatly to know my mother will receive an early Christmas present of a box of expensive handmade personalised chocolates shipped in from Belgium especially and wrapped in a satin bow by you personally. It’s more than she’s getting off me because frankly she doesn’t deserve a thing given the amount of times she tried to get out of waiting at my flat for my parcel. You’re obviously a lovely person. I’ll send you a Christmas card occasionally by way of thanks. I hope your Christmas is more Santa Claus and less Ebenezer Scrooge.